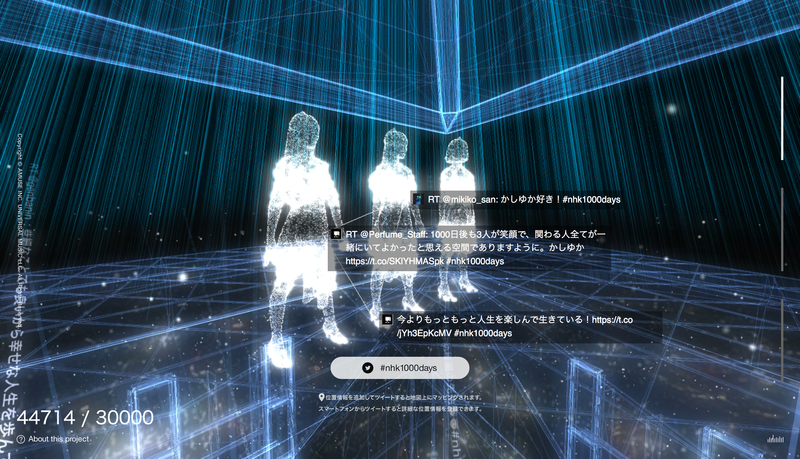 Special event in conjunction with the NHK TV special Uchimura Gorin Sengen: 1,000 Day Countdown to the TOKYO 2020 Olympics! broadcast at 7:30pm on October 28th, 2017 (Sat.) 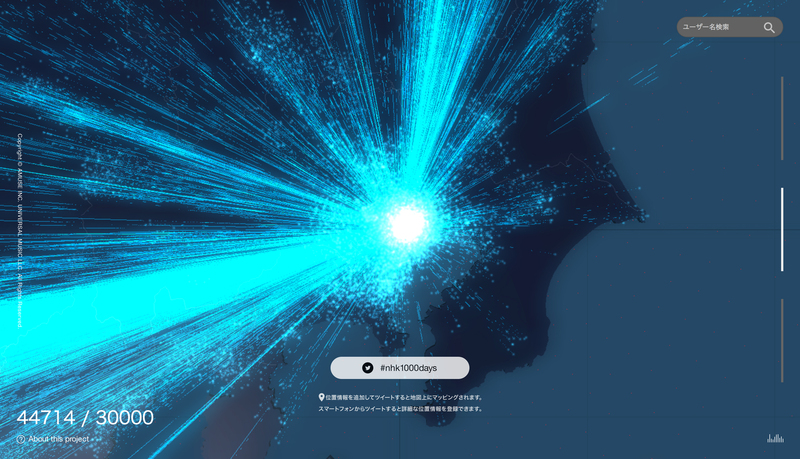 Twitter users were asked to submit messages in response to the prompt, “Who do you want to be in 1,000 days from now?” All the resulting tweets were plotted across a map of Japan as particles of light and made available in full on the event website. 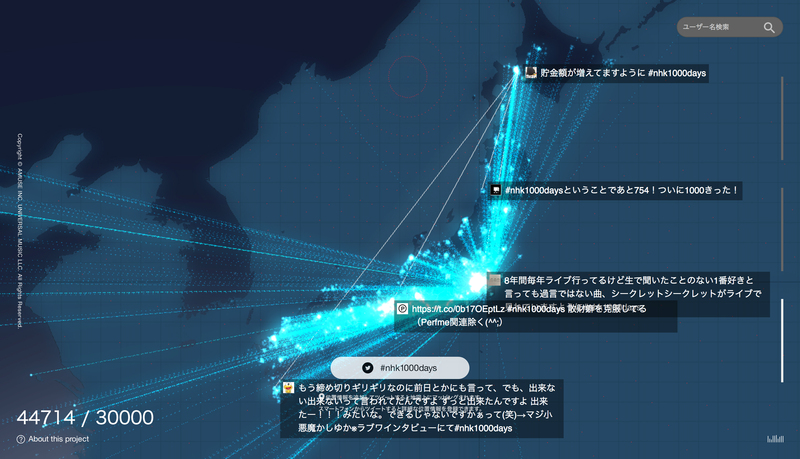 When users clicked on tweets on the map, lines would then appear, connecting all the other tweets posted at the most recent time. 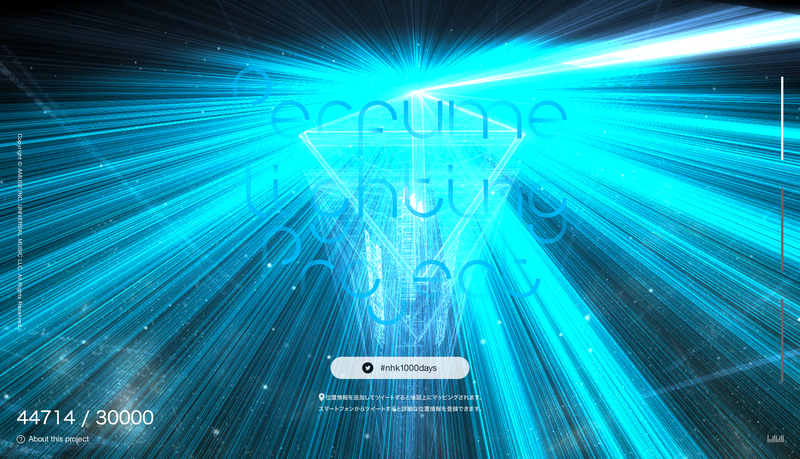 As the number of tweets grew, the light revealed Perfume’s glowing silhouette.